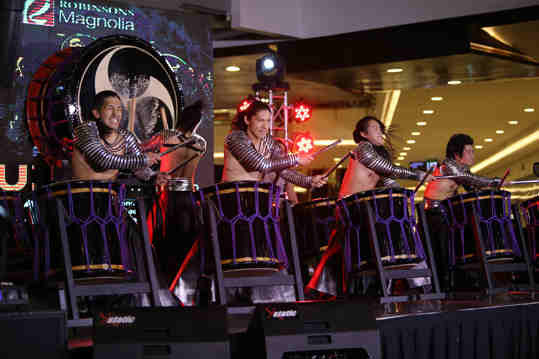 Drum Tao performers excite the mall audiences with electrifying Samurai Drum Rock routine, complete with martial arts and drum stunts. Drum Tao members pose with store personnel of the Daiso Japan outlet at Robinsons Magnolia. Drum Tao’s intense performance showcases a mix of synchronised drumming and dancing.